All of our items are 100% authentic, genuine products. 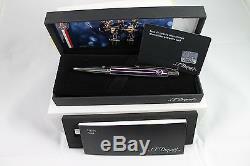 DUPONT DEFI PARIS SAINT GERMAIN BALLPOINT PEN - 405805. 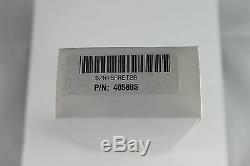 This item is new and in unused condition! 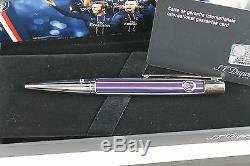 Dupont Defi Paris Saint Germain Ballpoint pen. 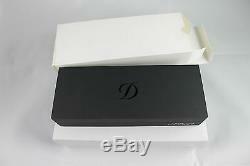 Pen comes with everything you see in the photos, the Dupont presentation box and outer white sleeve. 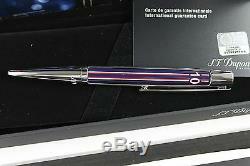 Prefect balanced pen, great writing instrument. We are a very small wholesaler that acquires fine luxury items from around the world. We pass along our great savings to all of our customers working to give them to best price we possible can. All of our items are backed with a 100% guarantee from us as authentic pieces.